The Turán (aka. Agria in North America) harvest was last week. 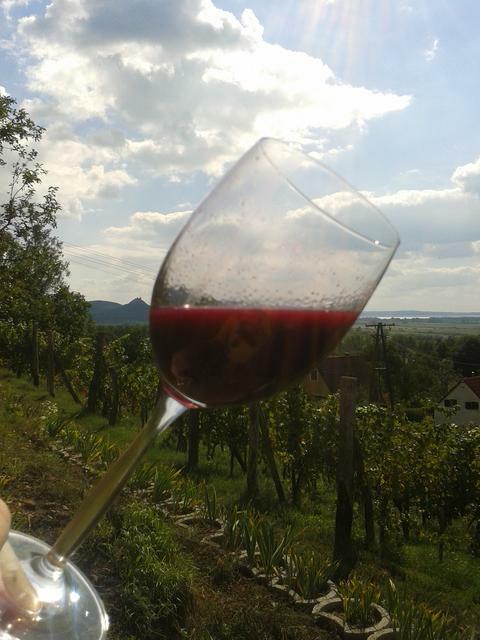 As I have previously mentioned, Turán is a teinturier grape, so the juice is red. Despite a reputation for needing a lot of green work, the Turán here, so far, has grown very slowly. The Pinot Gris (which has a pedigree in this region going back centuries) I planted the year after I planted the Turán is both larger and more vigorous and already is displaying it is the optimal wine variety for our local terroir. My Turán has to date not quite reached what some may consider optimal sugar content (Brix) for a red wine. This is not at all surprising, as explained in the terroir link in point (1) above. I for one was never a huge fan of high alcohol reds, so this is not, for me, a deal killer. The acidity is not bad, and in range, for what is normally acceptable for a red wine. Of course, my little experiment will continue for at least a decade before I judge it conclusive. I am only half way there (the Turán was planted 5 years ago). So the final results are not in. And learning when to pick such a grape in this “foreign” region from its ideal nature will also require some more experimenting. For example, this year the Brix was at 20 and pH at 3.3. I decided to let the fruit hang a bit to see if Brix might go up. But it was stubborn, stayed at 20, and the only result of my little experiment in delayed harvest was that the acidity declined. This sort of growing information and knowledge will be applied to next year’s harvest.